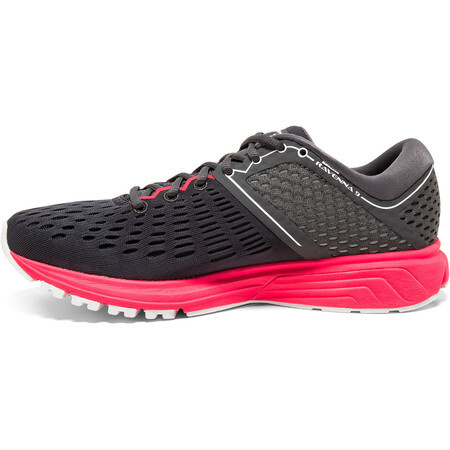 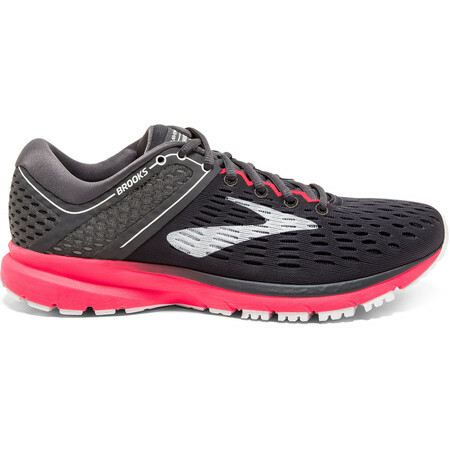 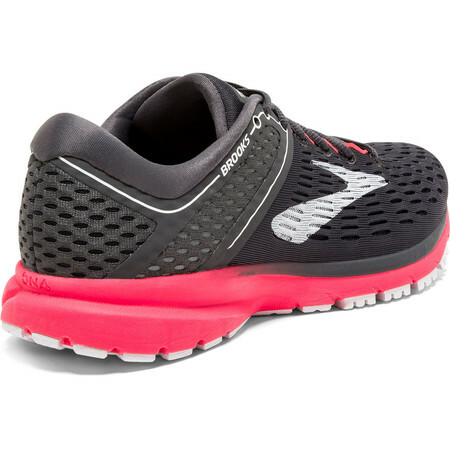 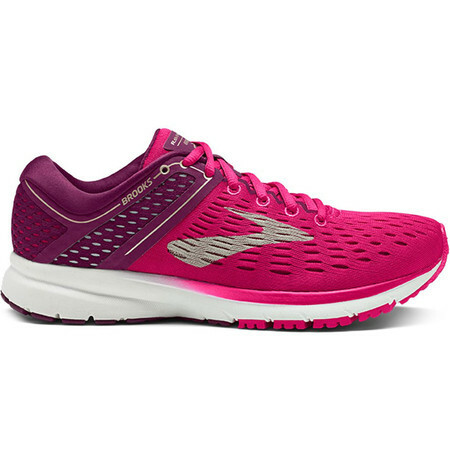 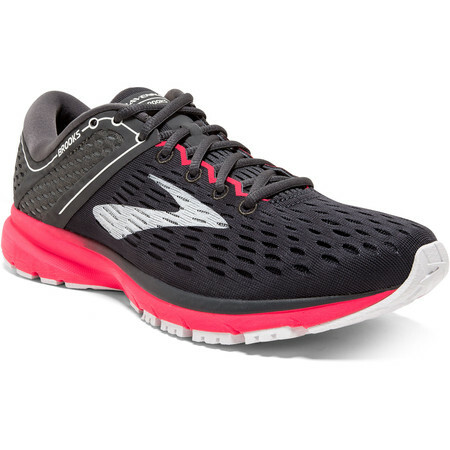 The popular Brooks Ravenna series of supportive but dynamic road running shoes for women has been given a completely new design to offer a sleeker, snappier running experience. 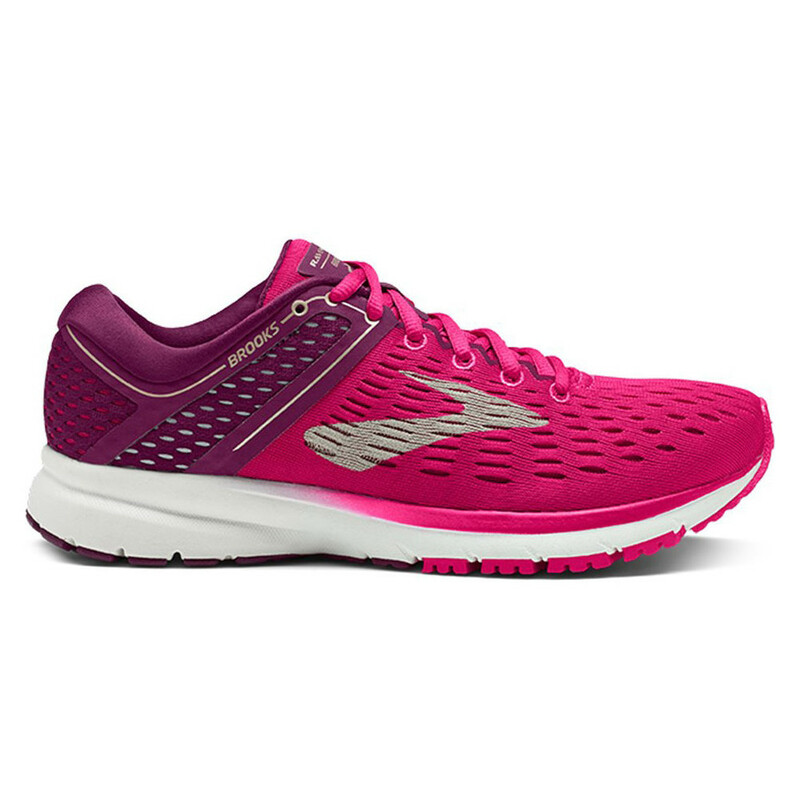 A full 28g lighter than its predecessor, the Ravenna 9 sports a BioMogoDNA midsole with rebounding rubber for a springier underfoot feel. 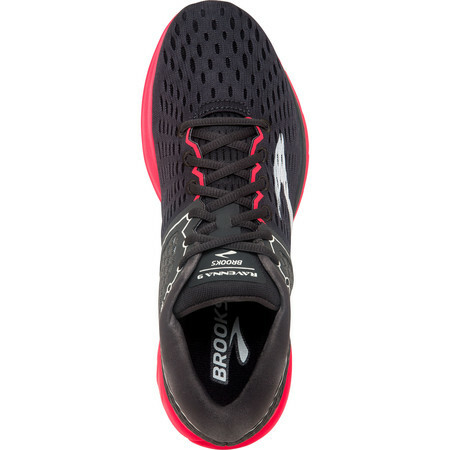 Increased toe spring (ie. the forefoot is slightly more curved upwards)and a midfoot transition zone, shaped to go from heel to toe quickly, make Ravenna 9 an altogether faster, more energized shoe. 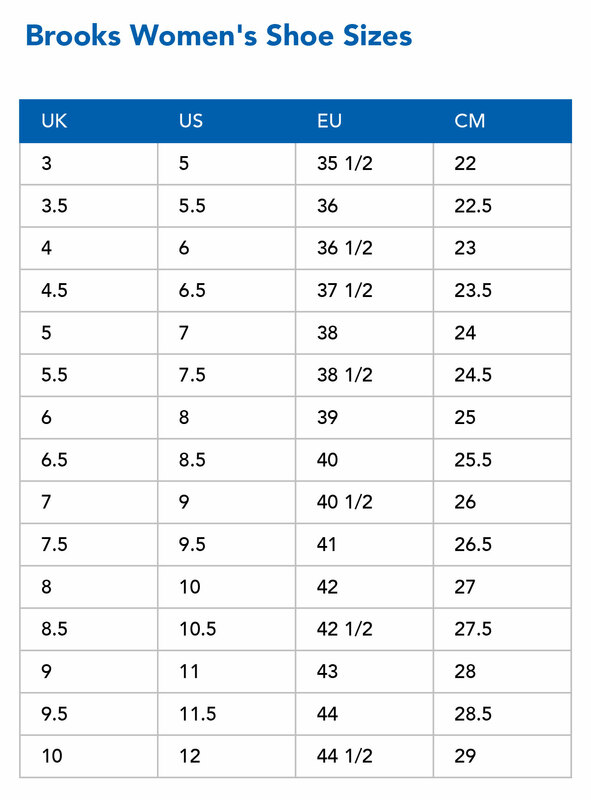 The Diagonal Rollbar support feature has been moved slightly further back. 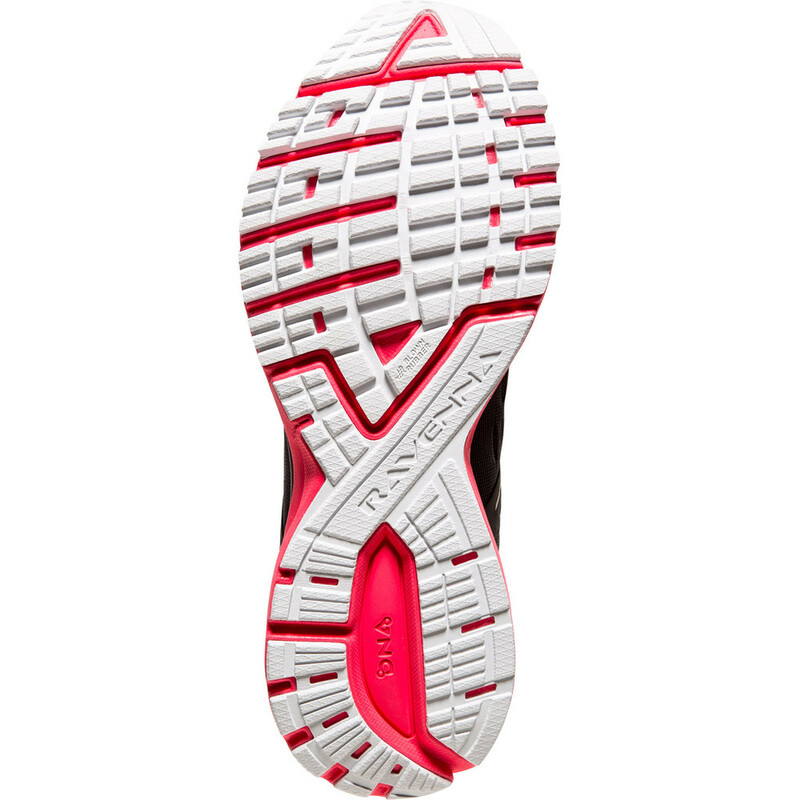 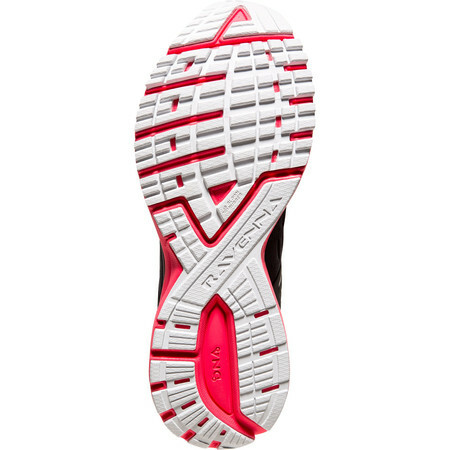 This, combined with a new more structured heel counter, increases rear foot stability. A lightweight engineered airmesh upper consisting of 2 layers – a perforated outer layer for ventilation with a gusseted inner liner to keep out debris - gives the toes plenty of room to breathe.